The device was found on Sunday and a cordon put up late on Sunday evening after discussions between the Royal Navy and Metropolitan Police. Transport for London said Docklands Light Railway services will not run between Pontoon Dock and Woolwich Arsenal owing to the 214-metre (700ft) exclusion zone. The discovery was made as survey work was carried out as part of the airport’s £480 million expansion programme. A spokesman said the device remains under water and is likely to be removed on Monday night. 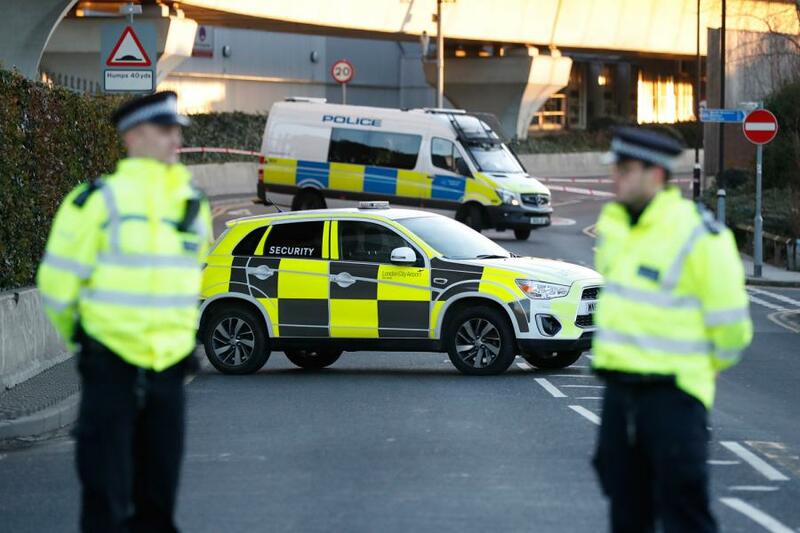 Robert Sinclair, CEO of London City Airport said: “The airport remains closed this morning following the discovery of a World War Two ordnance in King George V Dock on Sunday. “All flights in and out of London City on Monday are cancelled and an exclusion zone is in place in the immediate area. “I urge any passengers due to fly today not to come to the airport and to contact their airline for further information. A Met Police spokesman said: “The ordnance was discovered as part of pre-planned work at London City Airport and reported to the police at 5.06am on Sunday. “At 10pm an operational decision was made with the Royal Navy to implement a 214-metre exclusion zone to ensure that the ordnance can be safely dealt with whilst limiting any risk to the public. “There will also be disruption to inbound and outbound flights during the operation. Transport for London tweeted the airport was shut and road closures were in place. The transport authority wrote: “The airport has been closed due to an emergency services incident. London City Airport is the 14th busiest in the UK with 4,540,000 passengers in 2017, according to data from the Civil Aviation Authority.